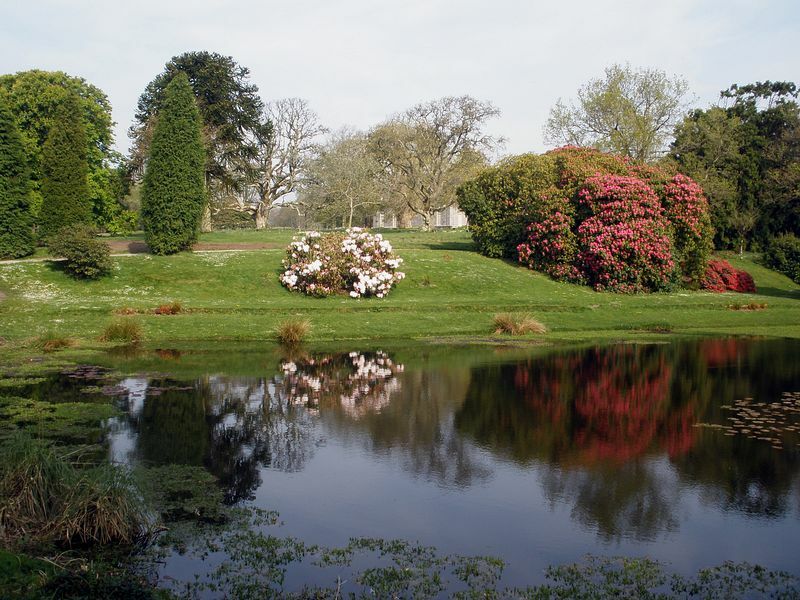 Nestling in the thickly wooded valley of the River Yeo lies the 1125ha (2700 acre) Arlington Court estate. At its centre stands the intimate and intriguing home of Miss Rosalie Chichester, who lived here for 84 years until 1949. Crowded with treasures amassed from her travels, the house contains model ships, tapestry, pewter and shells. In the basement, from May to September, visitors can view Devon's largest colony of Lesser Horseshoe bats via the 'batcam'. The stable block houses one of the best collections of 19th century horse-drawn vehicles in the country and offers carriage rides around the grounds. The 12ha (30 acre) gardens are largely informal but include a small Victorian garden with conservatory and ornamental pond leading to a partially restored walled kitchen garden. Wonderful walks take in historic parkland grazed by Jacob sheep and Shetland ponies, leafy woodlands and a lake with heronry and bird hide. 8 miles North East of Barnstaple on A39. Use A399 fom South Molton if travelling from the south.